One of a number of nice things about Portland that are lacking in Seattle is the movie pub. We don't really have cozy little pubs with a theater attached where you can catch a film while enjoying a microbrew or cocktail. The Big Picture is an exception, but it is as much a rented event space as a public theater, and you can't count on it being available when you want it. 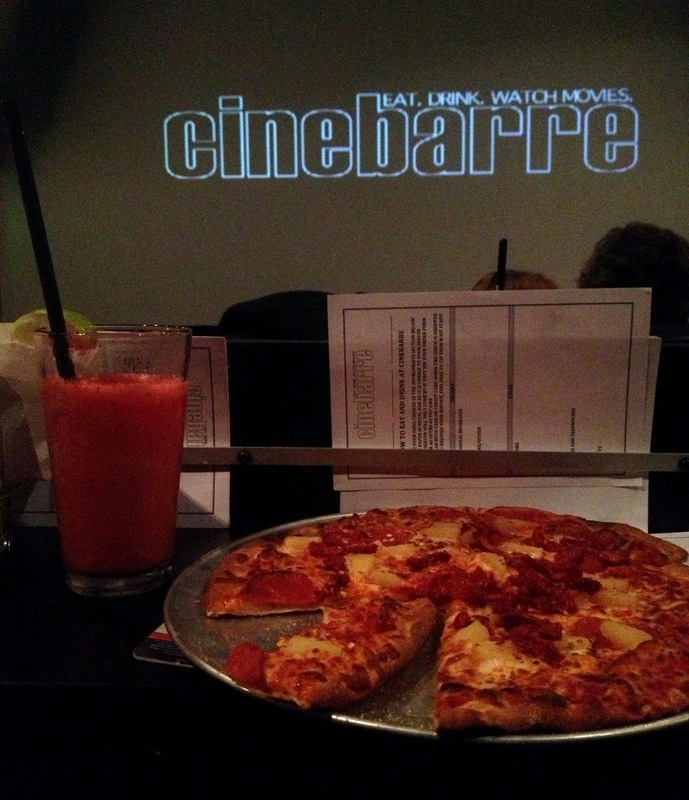 Another approximation is Cinebarre, in the north Seattle suburb of Mountlake Terrace. It is part of a small national chain, and the decor, remodeled from a 90s multiplex, is arid and mall-like. But despite the lack of charm, it does feature very comfortable seating and servers who deliver mediocre food and drinks to your seats. 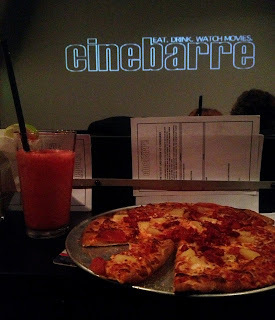 It's not fine dining or craft cocktails, but for the same price as other theaters, it is quite pleasant to have the service, food, and liquor options.